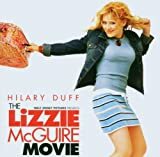 What dreams are made of – Paroles de la chanson dans “Lizzie McGuire, le film”. Paroles : Dean Pitchford et Matthew Wilder. What dreams are made of (Ballad version). Interprétée par Yani Gellman et Haylie Duff. Have you ever seen such a beautiful night ? When I see you smiling I go, “oh-oh-oh”. In my heart I know what this is. I’ve got somewhere I belong. I’ve got somebody to love. ‘Cause n my heart I know what this is. Have you ever wondered what life is about ? You don’t have to sail the oceans. It’s you and me, yeah. Yesterday my life was duller. This is what dreams, dreams.